Charles Delmar married very well. He wed Harriot Baldock much loved daughter of William Baldock who supported the couple financially and in business. William made loans to Charles and partnered with him in a lucrative Canterbury brewery which increased when William gave Charles his share of the brewery just before he died. Even after William’s death the Baldock family continued to support Charles. Local newspaper reports tell us about a court case involving another William Baldock – nephew of William Snr. – who appears as a witness for Charles when he is requested to appear before magistrates for contravening the 1831 Gaming Act. At the hearing, the Surveyor of Stamps and Taxes calls on Robert Gifford as a witness. Gifford states that he saw Mr Delmar out with a gun, accompanied by another gentleman. In defence Mr DeLasaux, the solicitor, dismisses this testimony as meaningless as it does not show his client was hunting. He was simply carrying a gun. But Boorman argues that proof of the offence could be made and calls a second witness. 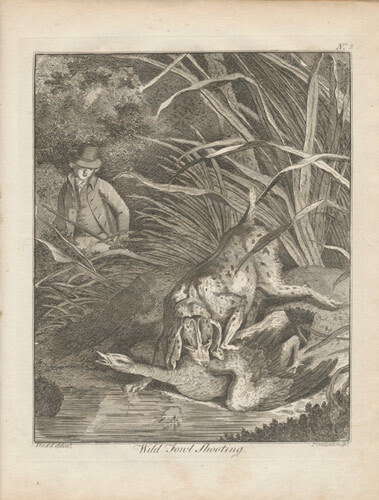 George Knight was sworn in and stated that on the 3rd November he saw Delmar in the Parish of Wingham; he had a gun in his hand; he had a sporting dog (a pointer) with him, which was ‘ranging’, and Mr Delmar was following it. Knight then went on to say that there was another gentleman with him. Although the witness was not in the same field he states that he heard a shot and saw a bird fall. Afterwards, the dog continued ranging and a bird ‘got up’. Mr Delmar’s companion shot two barrels at it, and the bird fell. 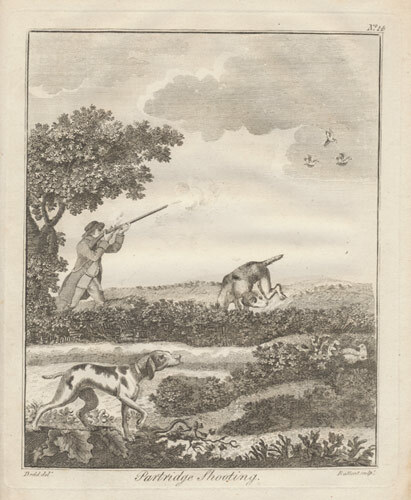 The witness went on to say that Charles was in the same field about eight to ten rods from his companion and both were following the dog as sportsmen normally do in a turnip field. When DeLasaux cross examines the witness, Knight says that he has known Charles Delmar for many years and that they are neighbours. He was certain it was Charles he had seen in the turnip field but did not know the other gentleman. At this Boorman the Surveyor objects to the line of questioning. His witness has already testified to the identity and he might be deceived in the description of the dog. DeLasaux insists that he must be allowed to pursue his own line of questioning without interruption. George Knight continues his testimony stating that he couldn’t be sure whether it was a pointer but that it was a sporting dog. DeLasaux’s final address to the Commissioners claims that no offence had been committed within the meaning of the Gaming Act of Parliament inasmuch as the defendant had not, as claimed, ‘used’ a gun for the purpose of killing game, he had only done what any competent person would do namely accompany a qualified a person to assist in beating for game. The solicitor went on to state that in the most material averment* in the information not being proved, no conviction could take place; but in order to relieve the Commissioners from any possible chance of doubt on the subject, he would call before them the gentleman who was out with Mr Delmar on the day in question. 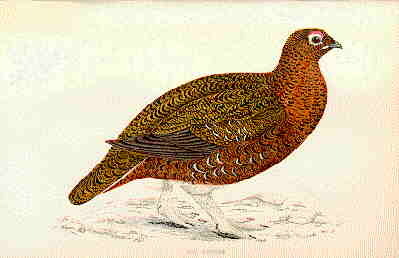 DeLasaux went on to state that he would detail a conversation with that gentleman; from which it would most likely appear that Mr Delmar neither used, nor intended to use, the gun in the destruction of game; and having done this, he should confidently rely upon the information being quashed. William Baldock jnr was then called for examination. Mr DeLasaux said he had nothing more to add to this testimony but felt confident that the information must be quashed. The parties were asked to withdraw and after some time were re-admitted and informed that the information was quashed. But Mr Delmar did not escape, entirely. He was ordered to pay £7.7s under the Act for the Game Certificate Duty to which he was liable. The magistrates said it was not necessary under the Act to specify any particular offence because, under his own witness, they had shown a decided anomy** in the case. The magistrates’ statement suggests that they were not entirely convinced by the argument but had to recognise that there was a technical point of law at issue. The tactic of bringing William Baldock to court was a power play by DeLasaux. William was well known in the county and had inherited a large amount of property when his uncle died. He owned manors and freehold land at Scocies, Scite (on the Isle of Sheppey), St Stephens Nackington, Tyle Hill Wood, and land in the parishes of Nackington, Saint Cosmus and Damian on the Blean. The inheritance reflected William jnr commitment to his Uncle (loyalty was well rewarded by William Baldock snr) but he was also a very capable man and it might be that the bequest was made to ensure that part of the Baldock estates remained in capable hands. Charles Delmar is a difficult character to summarise. His debts and the reliance on a share in the brewery with his father-in-law suggests that he might have needed support unlike the very capable nephew. Perhaps Mr Boorman left the hearing feeling that the day was not entirely wasted. The token fine was a justification for bringing these powerful men to court. * formal statement by a party in a case of a fact or circumstance which the party offers to prove or substantiate.